I’d seen these at our local supermarket recently and wondered what they were. Zoomer has a few different toys out over Christmas. 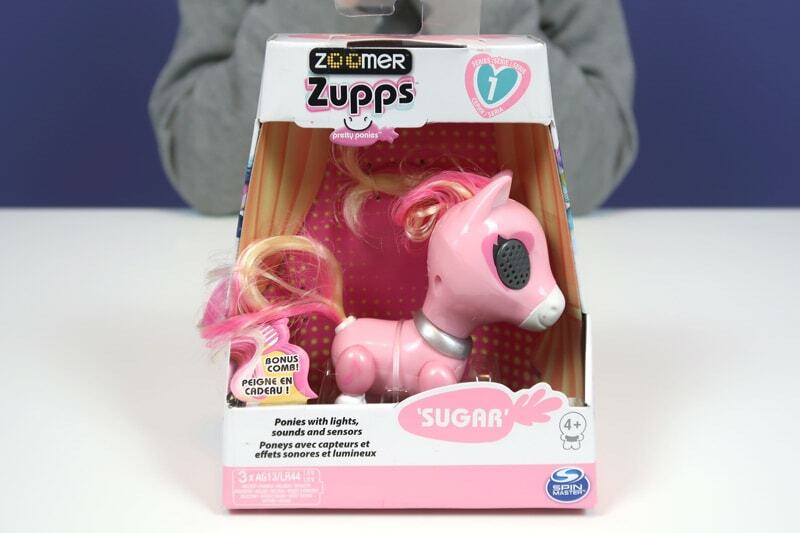 So What did the Zoomer Zupps Pretty Ponies toy do? 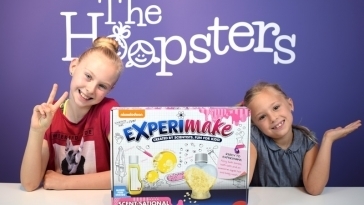 We were sent “Sugar” to unbox and review by Spin Master. There were only one of our Hoopsters that were up for the task. Abigail. At 7 years old she was keen to get her hands on it. Imogen at 10 years old wasn’t forthcoming. 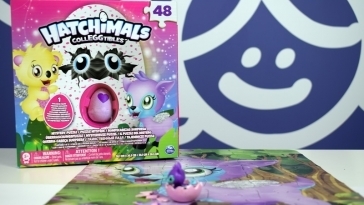 The packaging suggests that it is suitable for children aged 4+. 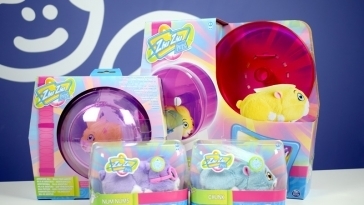 The Zoomer Zupps Pretty Pony is packaged singularly with a visible choice of 6 different ponies to choose. 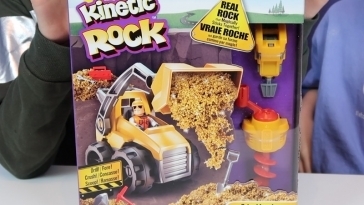 So many of these pocket money type toys are now blond bagged/boxed that you don’t know which design you’ll get. 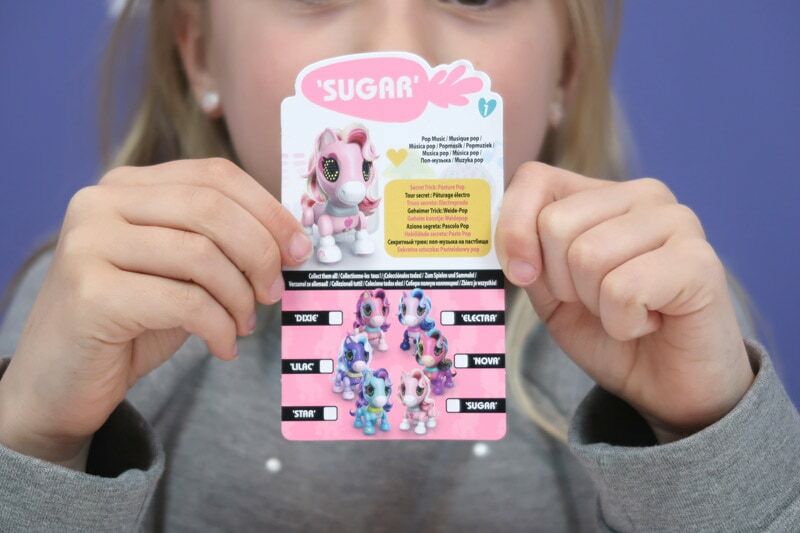 Sugar is the Pink Pony, but from the checklist included in the box, you can see the remaining 5 designs to collect. 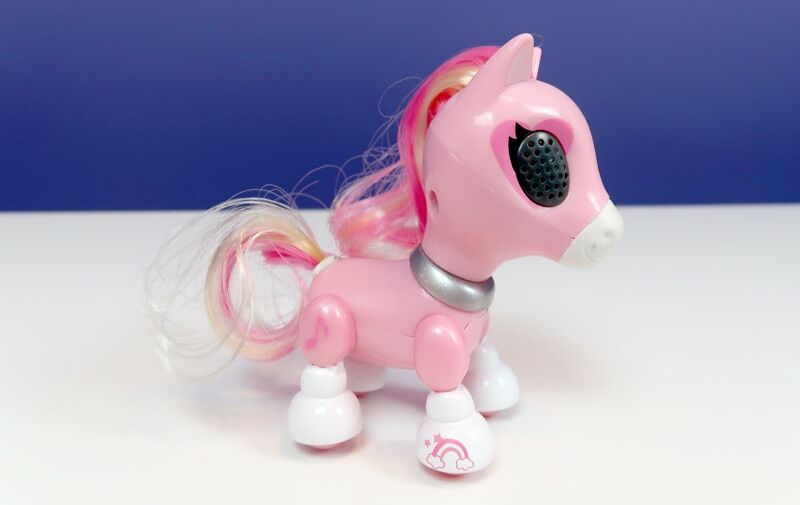 Each Pony comes with a comb to brush and tidy their mane or tail. Although this is a hard plastic toy its legs are posable with a simple rotation. What does a Zoomer Zupps Pretty Pony Do? 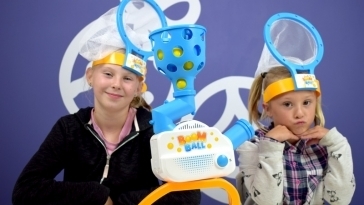 As it’s a Zoomer product were knew there would be more to it. On its belly is a switch, that turns on the interactivity. The eyes light up and the pony neighs with loving delight. Each pony has a secret trick, which is accessed by stroking the head and pressing the nose twice. As much as we tried we couldn’t seem to time this one right. There is also a pony showjumping game to play. This is started be stroking the head and pressing the nose at the same time. Abigail played this function for ages. All in all the toy has had as much interaction from Abigail when it is turned off as to when it is turned on. She will happily create imaginative play games with animals and dolls, even if they aren’t all flashy lights and noises. 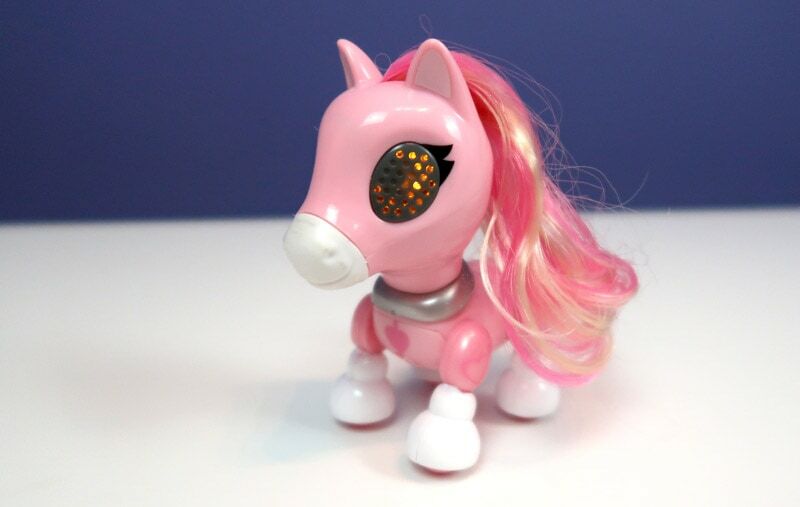 Zoomer Zupps Pretty Ponies are available from most toy shops with an RRP of £12.99, but Smyths toys are selling them currently at £9.99. 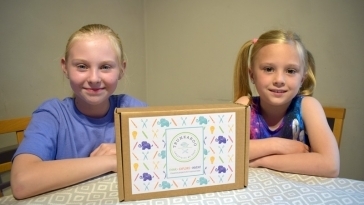 Here is Abigail’s first solo unboxing video of the Zoomer Zupp Pretty Pony.